2012 has been a crazy year. Never a dull moment. 2012 was the year I cried more tears than (probably) ever in my life before. I cried happy tears. I cried sad tears. Tears of loss. Tears of gain. 2012 was the year I reconnected with many (blessings) friends from my past. 2012 was the year I found out that I still trust some people too much and lost some "friends" because of it. 2012 was the year I accidentally killed my Saturn Ion 3 in a flash flood in West Virginia. 2012 was the year I became a great-aunt. 2012 was the year I was honored to have a child named after me. 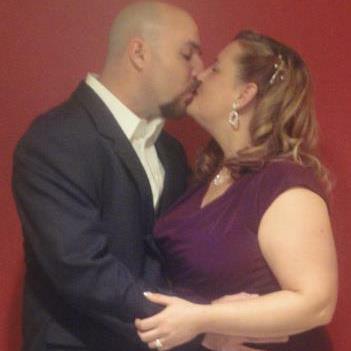 2012 was the year I watched two of the most wonderful people I know fall in love. With each other. 2012 was the year I adopted a dog. 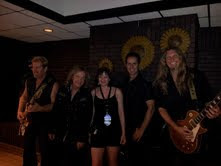 2012 was the year I stood between Jack Blades and Kelly Keagy for a photo op. Like a groupy. 2012 was the year I discovered I have amnesia regarding some past events (which is driving me crazy). 2012 was the year I took my blinders off to see the homeless in my community. 2012 was the year I began helping. 2012 was the year I started focusing more on the world by focusing more on me. 2012 was the year I stopped hiding me. 2012 was the year I celebrated the milestone birthdays of many friends, including my own. 2012 was the year I was overwhelmed with grief for innocent lives killed by mad men. 2012 was the year I was overwhelmed by negativity from my Democratic and Republican friends. 2012 was the year I was overwhelmed by negativity of others when the world didn't end on the Solstice. 2012 was the year I began surrounding myself with like-minded sisters and brothers. 2012 was the year I asked for and received clarification. 2012 was the year I was reminded that I am a butterfly. I was thinking about one of Toby's funny and amusing songs...but with the close of 2012 fast approaching, I fell on this. Today, I'll be taking my girls shopping to one of our favorite places...a book store. We'll be gone for hours. Guaranteed. Love and Light. We watched Singing in the Rain last night. I love this movie so much that I don't think I stopped grinning the whole time. I absolutely LOVE watching these three dance! What a wonderfully peppy song to listen to bright and early, right?! Now the milkman's on his way. Feeling a little sappy this morning, my friends. When I was a kid, I had so much faith in love. Love truly is the best gift you can give. The best gift you can receive. My wonderful family shares so much that they've been passing around the flu to one another. I made it through Christmas dinner. And even most of the present opening before I started feeling hot and queasy last night. So I couldn't post a peppy song that makes me want to dance. I need calm. Thank you, Sting. Wishing you all a wonderful, merry, joyous, safe and happy Christmas day! I never heard this song growing up...which kind of surprises me. The first time I heard it was when I was commuting between Jackson and Lathrup Village on a Detroit radio station. I love this song. 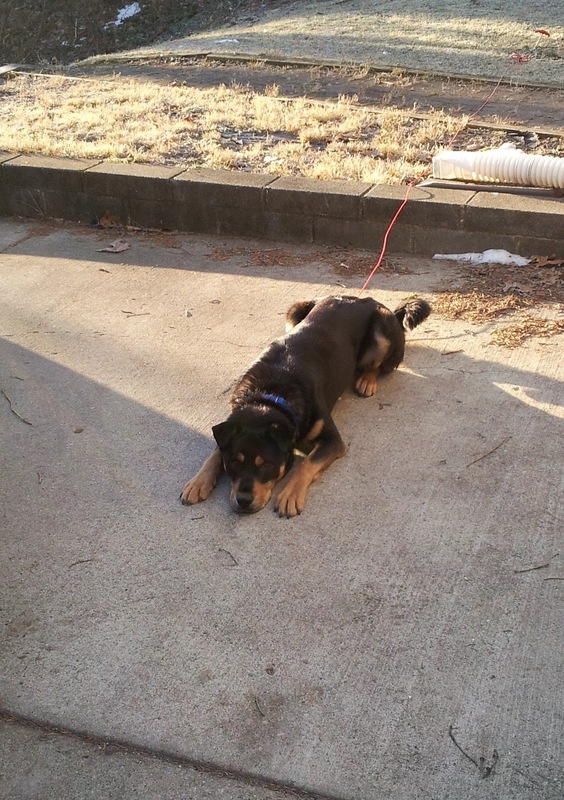 It cracks me up and I drive my family crazy with it! :-) I needed the smile today. I hope it gives you one, too! Every day I try to maintain an attitude of gratitude. It's hard. A lot. But you know what? It makes such a huge difference in the quality of the life I live. I briefly considered this song for yesterday. I felt it had to come soon. It HAD to be today's song because I heard it at the gym yesterday. Did you know that I don't believe in coincidence? September 11, 2001 was my wake up call. Life is far more fragile than I ever imagined. I was terrified. I was afraid to live. This is the song that woke me out of my stupor. From that day on, I have strived to live every day positively. Do I fail? Yes, quite often. But I don't stop trying. This is the song my darling 6th grader chose for the talent show I mentioned yesterday. This is not an easy song to perform. You should have seen my sister and me helping my girls perfect their performances: getting the right pitch, tone and notes, drawing on the things we learned from Mr. Ron Burnette and Mrs. Norma Willoughby about warming up your voice and appropriate breathing. My girls were awesome! And they have been striving to perform their best at every musical endeavor since!! When Katana was in third grade at Paragon Charter Academy, one of the teachers thought it would be great to have a talent show. Both of my lovely daughters participated in this event and worked really hard to master some songs that aren't so easy. This is the one my precious little third grader sang. Last night, I told my darling high school junior that she doesn't have to be in choir next year if she chooses that course of action. She wouldn't be in choir this year if I hadn't thrust it on her. Choir saved me in high school. My best memories from junior high and high school are related to my choir activities and my choir family. Sadly, hers aren't. Not because she doesn't love singing. (Hang out at my house on any given day for ten minutes and you'll hear her start to sing at some point.) Her choir director doesn't have the love for the students that my choir directors had. They put us first. Hers puts his political agenda first. This song was on the awesome playlist at Planet Fitness about a week ago. It's been on my mind for a song of the day since. Sometimes you have to strip down to nothing to find truth. This song reminds me we can only truly rely on ourselves for that truth. It's stuck on my brain so I'm sharing!